"Our family is amazed everyday that we live in the home of our dreams, and Bebe made that possible. She worked tirelessly on finding houses to show us that fit our needs. We have bought and sold with Bebe three times and have always been impressed by her dedication and insight. She helped us move our house in a tough market and then capitalize on the perfect house to call home. We would highly recommend her services to anyone. We really can't thank you enough. You are a trooper!" Wow, what can I say about Bebe other than outstanding. Bebe has been my Realtor for four different buy/sell transactions. She works hard whether she is selling my home or helping me find a home to buy. Bebe does not just care about making the sale, she really does care for you as an individual. I have referred her to all my friends who were in the market to sell or to buy. Bebe Hitz showed tremendous professionalism and remarkable attention to our homebuying. We had a week to choose a house and 30 days to close. Bebe sent us all the houses in our price range, my wife and I searched through the listings, we agreed on about twenty of them over the weekend, and Bebe started setting up appointments. Afterwards, we reduced the number to about fifteen, explained our needs to Bebe, and then set up more appointments. We visited a few houses two or three times, and then made an offer. All in eight days time we got an agreement, with my family looking online--not in person--and everyone was happy with the outcome. "I have utilized Bebe Hitz on multiple occasions and can attest that she is both smart and trustworthy. No one works harder or understands the market better. 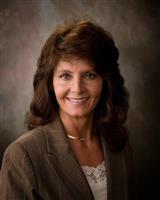 I highly recommend Bebe to anyone considering buying or selling property in the Idaho Falls area!" I have had the privilege of Bebe's real estate expertise on two different occasions - as a buyer and as a seller. She is "Johnny on the spot" and gets the job done to her clients' satisfaction. I would definitely seek her professionalism again should I ever need a realtor in the future. Bebe Hitz is definitely our realtor of choice. She helped with the purchase and sale of both of our homes in Idaho Falls. She worked extremely hard for us to get a good price and lots of showings when we were selling. And we especially appreciated how smoothly the closing went because of her diligence. I was an "Out of Town" seller from CA trying to sell my house in Idaho. I put my trust in and was not let down by my agent Bebe Hitz. In such a down economy she beautifully handled the sale of my home. I would without a doubt recommend Ms. Hitz to anyone who wants someone looking out for them whether they are buying or selling real estate. Thanks again, Bebe. Tony and I first met Bebe in the fall of 1988. We had just moved here from Richland WA. with our two daughters. We went into Coldwell Banker looking for a realtor and we were lucky to have been given one of the best realtors there is. Bebe spent more time than imaginable in finding the house that best fit our needs and what we were looking for. There was never a time that we were waiting to see a house or wondering if there would be one available. Bebe was beating every bush there was to find the home we wanted. We purchased our home from Bebe in December 1988. I say home since we started looking for a house and she brought us to the door of our home. This home has been the center point for our children and their friends as well as all of our friends and family. Bebe has been more than a realtor but a dear friend. So when our elderly parents needed to move to Idaho Falls in 2004 we once again called the only realtor there is. Within 2 months we had purchased another home. Our two daughters moved away for college after their graduation from High School. When our oldest daughter and her husband were moving back from Indiana and looking for a home to purchase there was never any question as to whom they were going to call. Again within a short period of time she had brought them to the perfect home. She kept them informed daily of new listings, changing prices and any houses that would be in their criteria. Within 6 months our youngest daughter and her husband were looking into moving back to Idaho Falls. One their way to our home, they happened to turn down one of the neighboring streets and saw a For Sale sign on a corner house that struck their interest. They came straight to the house and called our family friend and realtor. This was on a Friday and they saw the home on Sunday, made an offer on the home and it was accepted on Monday. This happening in a matter of three days. At the same time she was also showing one of our son-in-laws parents were looking to purchase a home as well. She spent many, many, many hours showing them just about every home imaginable and finally ending up with them purchasing a house as well. After they purchased their home she then turned around and sold their home for them. So, all in all she has been the one who has brought 5 houses to us that were made into homes. She also has sold a home for our family as well. 4 of these homes are within a 3 block area with the in-laws home being approximately 2 miles away. There would never be any question as to who we would call for a realtor. When each and everyone were looking for a home it was never a question of whom should we call but who has Bebe’s number. I have recommended her to anyone who has asked and will continue to do so. She is the best realtor with every avenue of knowledge known to complete the start to finish process. Believe me when I say, if she can sell homes to this bunch and still keep her sanity, she is top notch for all of us. She more than worked her tail off but did it with so much gusto that she will always be our realtor. That is after she is our friend first. We met Bebe five years ago when we moved to Idaho Falls from Colorado. Having used her services twice for both buying and selling our homes, we highly recommend her for anyone needing a realtor with expertise, know-how, and willingness to truly go that extra mile to bring a deal to closure. We appreciate her dedication, and her ability to put us at ease in the often-times stressful world of home buying and selling. We couldn't have asked for more. I have known Bebe Hitz since I bought my first home in Idaho Falls in 1998. Bebe can achieve the impossible. She found the perfect lovely safe home for my two young children and myself. My grown and married kids still love that house and we drive by even though we sold it many years ago and we still comment how much we loved it. Bebe is so patient, kind, and long suffering with stupid questions and people who feel helpless with all the legal tape and requirements. Somehow she finds all the right answers and means to make it all work out well. I have dealt with different homes and properties from the East Coast literally to the West Coast. I have moved 53 times in my life and I have yet to meet someone that I have as much faith in and respect for as Bebe Hitz. I am a professional person who currently holds a number of degrees and currently 3 jobs (always all my life at least 2 jobs at a time). Someone such as Bebe who is very knowledgeable , kind, and always willing to sacrifice their time to help someone with such a complicated schedule as myself truly is wonderful. In the time that we have known Bebe Hitz she has helped us find a house, buy two houses, and sell a house in a very professional and efficient manner. She is always ready and willing to find what her clients are looking for in a home and will show as many as needed. Her advertising is “out there” for all and always looks great! She will do every possible thing to get your home sold. She works very hard for her clients in finding that perfect home as well as getting your current home sold. Bebe was referred to us by our friends from California that were in the process of relocating from there. We found ourselves in the same situation, moving from LA to Idaho Falls as well. Relocation is difficult enough but Bebe takes the sting out of it. We found her extremely knowledgeable of the area and market. She was so patient and understanding of our special needs and found us the perfect home in the perfect neighborhood and right on target price as well. We are still as happy here as the day we moved in. While we went back to California to pack, Bebe took care of all the details from home inspection to closing. She also had great resources and found us a handyman and gardener. It is with pleasure that we highly recommend Bebe Hitz. Please don't make a move without her. She's the best. Buying a house is a stressful, major life event, but working with Bebe made it a fun experience! She was available, honest, knowledgeable, proficient and a great negotiator! She will always be my Realtor. This is a one-stop real estate website for all your home buying and selling needs in Idaho Falls, ID.